It's going to be a rough start to the holiday weekend for the Trump Taj Mahal casino in Atlantic City. Close to 1,000 workers at the casino went on strike at 6 a.m. ET Friday after it failed to reach a deal with union negotiators, the union UNITE Here said. The Trump Taj Mahal is owned by financier Carl Icahn. Despite the name, Donald Trump no longer runs or owns the casino. The staff walking off the job include cooks, housekeepers, bellmen and servers, the union said. Despite the strike, management at the Trump Taj Mahal said the casino would remain open. "We have strike contingency plans in place and are prepared to welcome our guests," said Alan Rivin, the casino's general manager, who predicted the walkout would have minimal impact. Management criticized the union for walking out. "The employees of the Taj bargaining committee seem hell-bent on trying to close this property and killing the jobs and livelihood of the other Taj employees, including their own union members," said Tony Rodio, president and CEO of Icahn Enterprises. He said management had presented a good faith offer that would have restored some benefits lost during bankruptcy, including an employer contribution towards health care costs. Strikes were averted at four other Atlantic City casinos that had also been facing the threat of walkouts after tentative labor agreements were reached Thursday. One of them, the Tropicana, is also owned by Icahn. The other three -- Caesars, Harrah's and Bally's -- are all owned by Caesars Entertainment, which has been operating under bankruptcy court protection for the past 18 months. The Trump Taj Mahal and Tropicana were both purchased out of bankruptcy in recent years. Terms of the agreements were not released, but the union leadership is recommending that rank and file workers vote to ratify them. 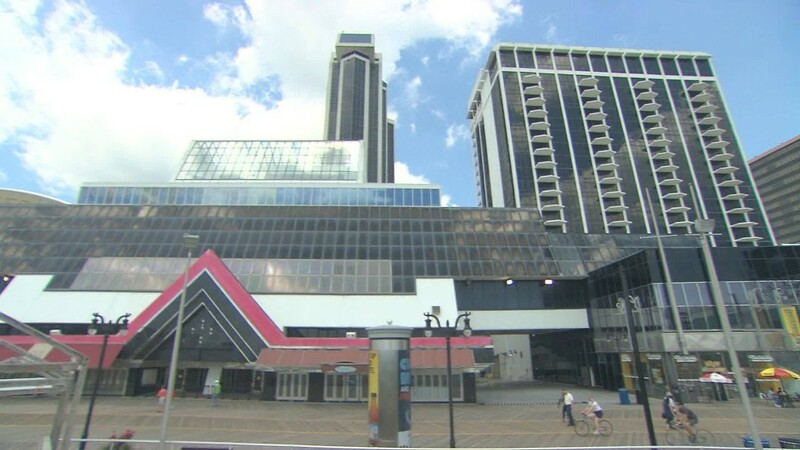 The Atlantic City casino industry has been struggling with four casinos having closed in the last few years. Moody's credit rating service suggested in December that even more of the eight remaining casinos may close, as out-of-state competition heats up. The city government itself is trying to avoid its own bankruptcy. But profitability has returned to the eight casinos in recent years, thanks to the reduced gambling competition in the city. The union says that workers are paid an average of $11.74 an hour, and that veteran workers have received wage increases of just 80 cents over the last 12 years. It also says many of its workers rely on public assistance, such as government-subsidized health insurance and food stamps. Meanwhile, the union claims that profits at Atlantic City casinos jumped 40% in 2015 from the year before.